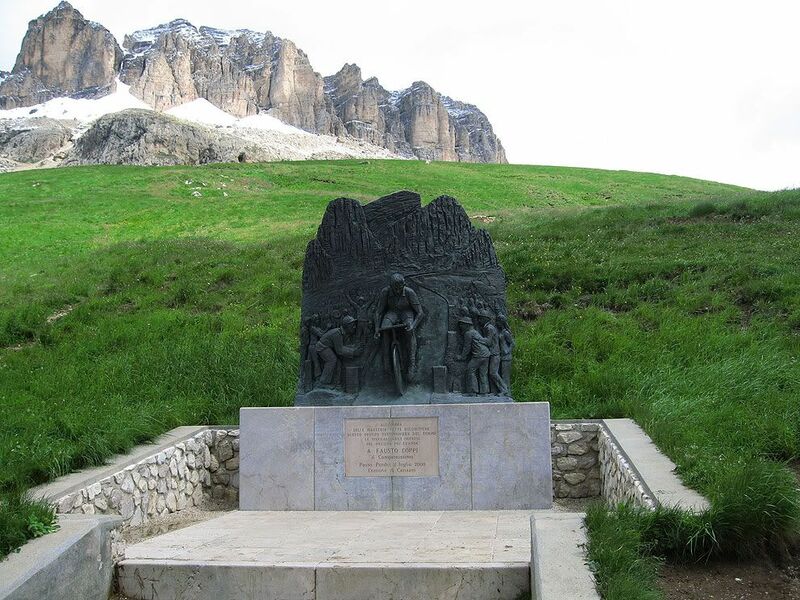 The Coppi Monument on the Pordoi. 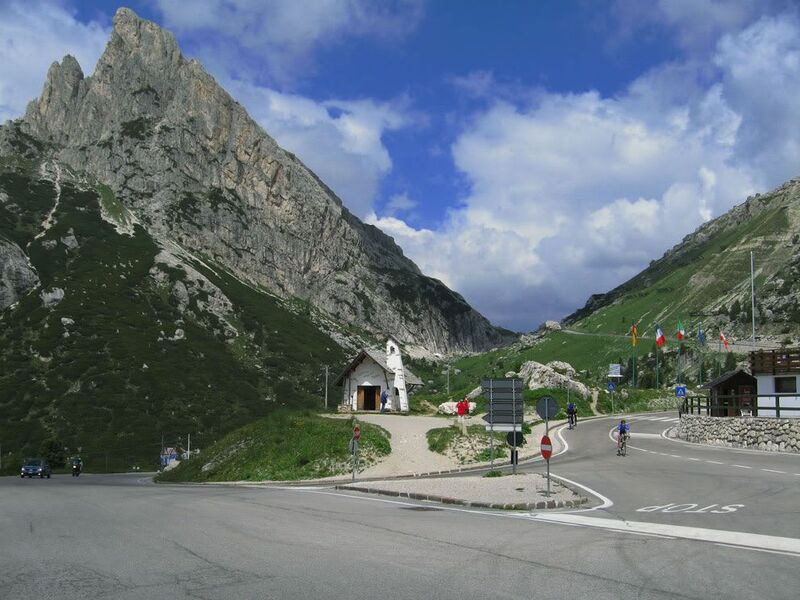 if they took a right, instead of a left at the bottom of the pordoi, then they'd head up the sella, and see this. 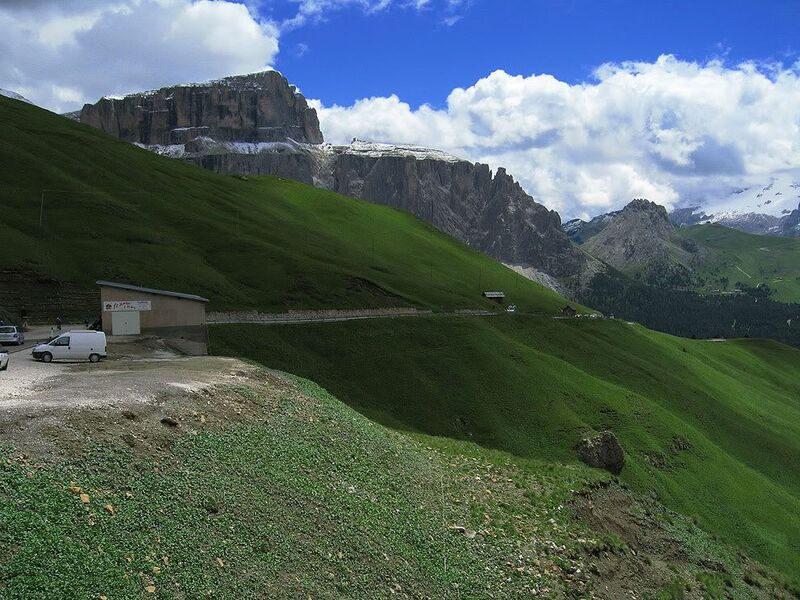 instead they're climbing the Giau (what a killer), then the Falzarego. 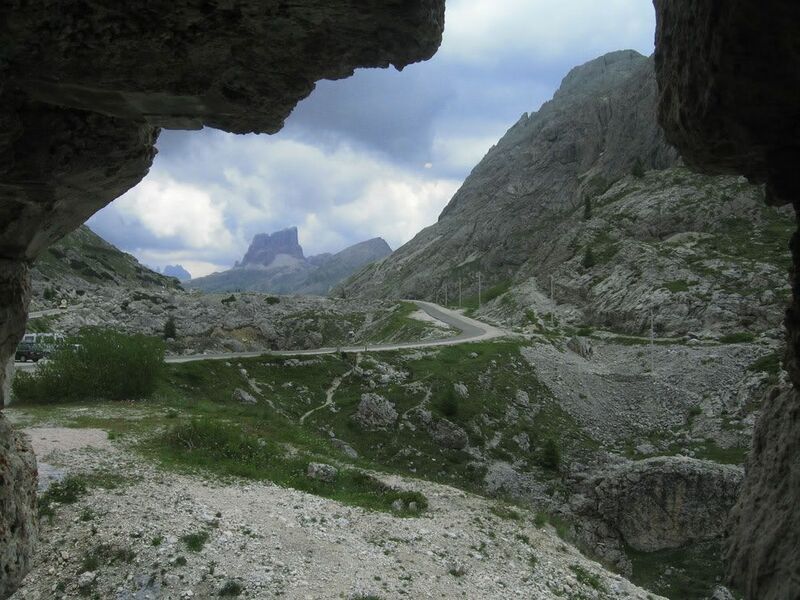 As you crest the top of the Falzarego, you think it's over. 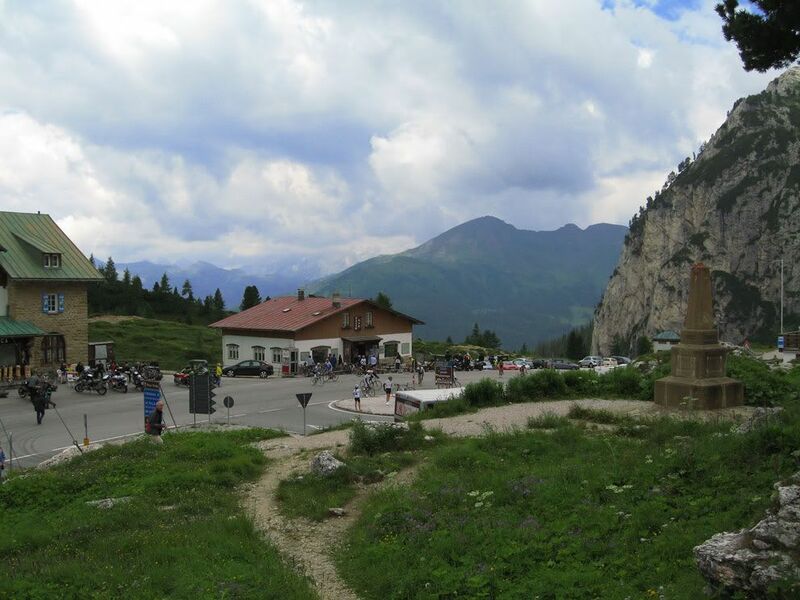 Then you have to climb up the Valporola. Then they'll descend, on their way to the Marmolada. I take it, these are your photos. Absolutely beautiful. I can't wait until my wife and I can afford to take a trip outside the US and see the other things this world has to offer. This is the only way I can get her to watch some of the tours with me. The beautiful scenery. yep. 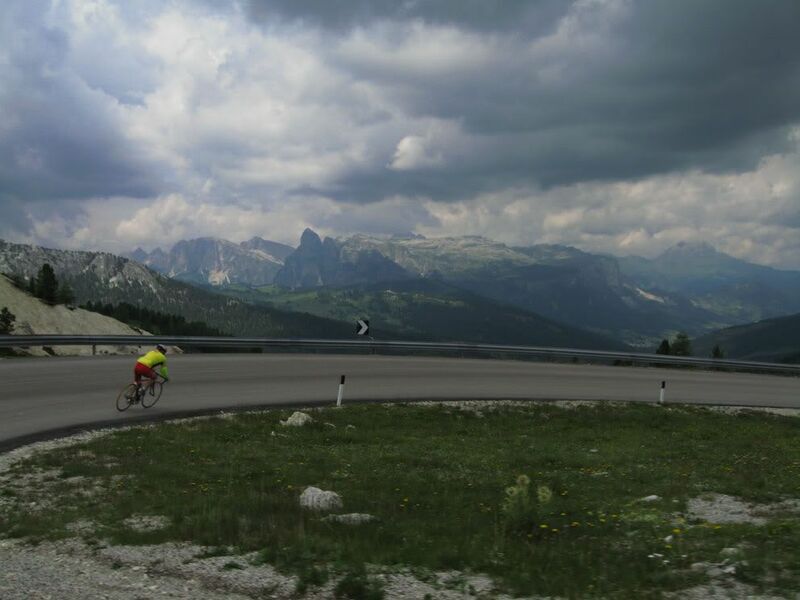 taken at the Maratona dles Dolomites. The Pordoi has it's moments, the Giau is a killer, and with the sting of the Giau still in your legs the Falzarego hurts too. Then they have to do the Marmolada. ps - Some non-cycling related to the Falzarego and the Valporola. Last edited by botto; 05-25-08 at 05:39 AM. I'm looking forward to watching it today. Now, even more since you've whet my appetite. Great pics! Thanks for sharing. 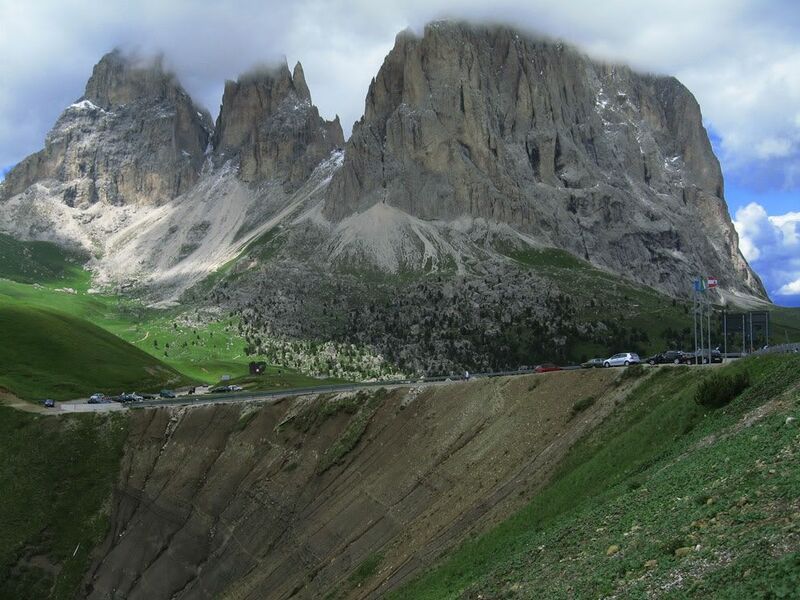 I have visited Italy many times...but never with a road bike! whoops. just noticed that they're not doing the Valporola. They'll take the left, instead of the right at the intersection pictured below. Thanks botto! Those are BEAUTIFUL phots! It's too bad it's raining today so the scenery doesn't look so spectacular.